Enjoyed Deus Ex’s stealth? Here’s the list of the best stealth games on PC. 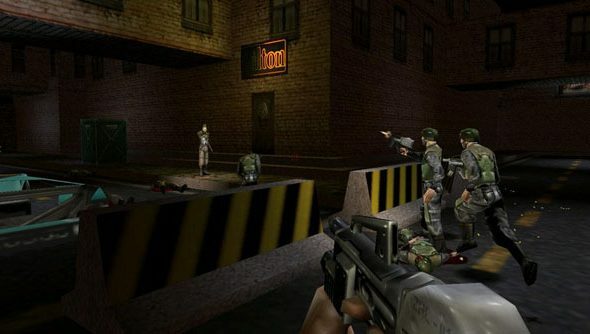 GMDX, the full title being Give Me Deus Ex, just released its final version, version 9.0. It’s the result of five years of work, improving level design, graphics, artificial intelligence, and even the sound design. There are new weapons, RPG systems, and, well, we’d be going on forever if we were to list it all. Above is the trailer, which shows off some of the new level design and features of the mod. As someone who first played Deus Ex just a few years ago, it’s not the most user-friendly game compared to modern titles, so the question is whether GMDX make it a more cohesive and playable game? Hopefully! If you’ve got a copy of Deus Ex, you can download the mod via the ModDB page, and check out the features plus installation instructions over on the official website.